Do you have a burning desire to Get Organised? Do you want to increase your performance 10 fold? Are you stuck in the daily grind? Are you reactive more than proactive? Do you wish there were more hours in the day? If you answered yes to these questions and you know now is the time to get organised, stop procrastinating and unleash your potential, I have a 3 month intensive coaching programme designed to move you to High Performance at work and in life. This programme is aimed at proactive people who are ready to work towards reaching their potential. This is not aimed at people who are not ambitious or are feeling stuck. Create a Workflow system that helps you get work done! This is a one time offer for high achievers who want to make progress fast. You must be available to start this month and have time to do the work. For this programme you must be available to come to Dublin, Ireland for the workflow sessions. Subsequent sessions can take place online. This is a 3 month commitment to change the way you currently do things in order to maximise your time, energy and attention. We will begin the interaction with a Spotlight Assessment which will help you understand your performance and your preferred behavioural style under pressure. This will help you to understand yourself better and help us to design the coaching interaction to best enable you to make progress fast. This session will focus on your environment and what is important to you right now. It will establish your goals, challenges and beliefs around your current situation. What has held you back so far? Session two is a 3 hour session where the agenda is your work. We will co-create a workflow system that allows you to get work done more efficiently and effectively. Planning for the next quarter and looking at long term goals. We will create a task management system if you don't currently have one, clear your inbox to zero and clear any other clutter from your work life. 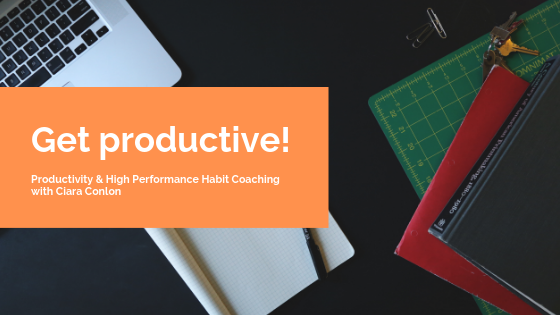 Session three will focus on creating a habit that will significantly impact your wellbeing performance and productivity. Using The Habit Method, you will plan and design a habit to fuel your success. Session four will ensure that everything is working for you and that you are aware of the challenges and roadblocks that you may face. 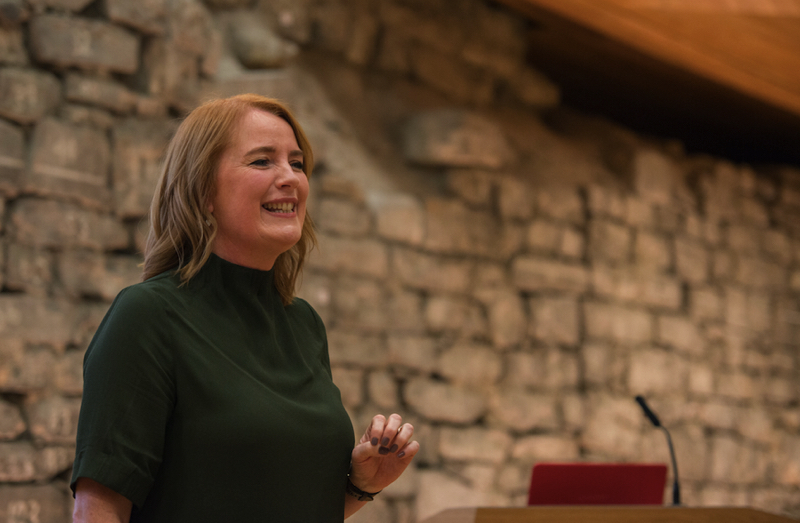 I am a Leadership and High Performance Habit Coach who has been described by industry and the media as Ireland’s Productivity Guru. Having absorbed myself in Productivity for over a decade, coached hundreds of leaders, managers and business owners, written three books on productivity and habit formation and spoken to thousands of people on the subject rest assured I can help you to get organised, get focused and get productive. 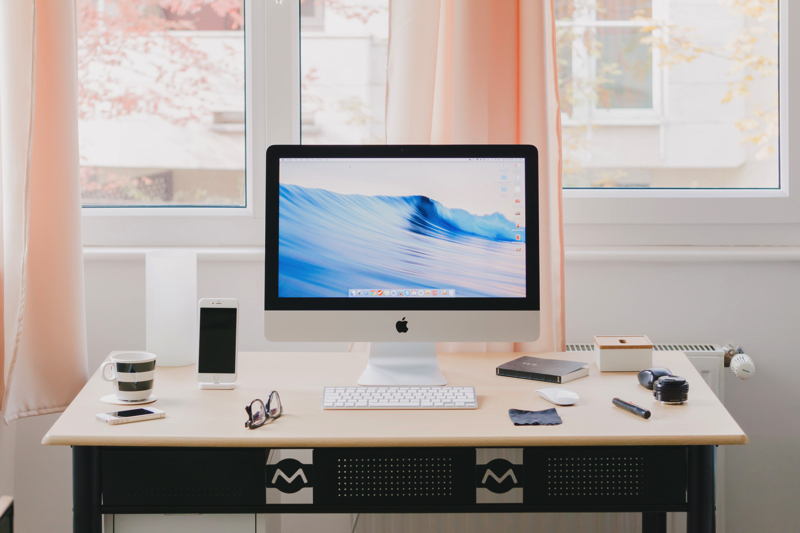 "Ciara equipped me with a system that helps me approach my work in a more efficient manner, keeping me more organised with more time for the important things in life." "By organising my emails per Ciara's recommendations, I have save one if not two hours a day. I am no longer a slave to my email." This intensive programme costs €1500 all inclusive. This can be paid in 3 instalments. This is the last time this will be offered at this rate. If you are interested schedule a call now as places are limited. IF THIS SOUNDS LIKE A GOOD FIT FOR YOU AND YOU WOULD LIKE TO REGISTER YOUR INTEREST FOR A FUTURE INTAKE, PLEASE SEND US AN EMAIL VIA THE CONTACT PAGE.